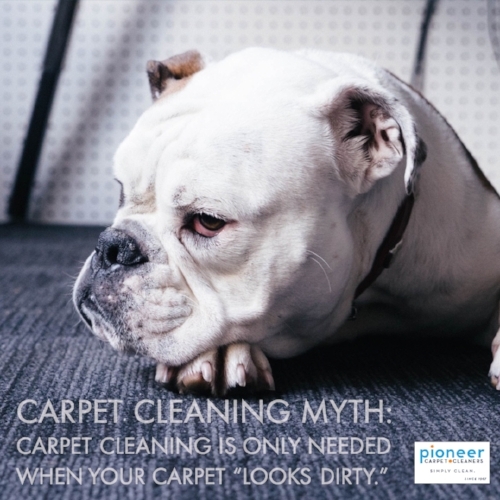 Carpet Care Myth: You should wait until your carpets “look dirty” to get them cleaned. Carpets are like sponges trapping toxins, pollutants, pathogens, bacteria (including E coli and salmonella), viruses, dead skin cells, dust, and all kinds of harmful compounds that you don’t want in your home. One study conducted by Dr. Philip Tierno, a microbiologist and immunologist, found indoor carpeting to be 4,000 times dirtier than a toilet seat, with about 200,000 bacteria per square inch. Regular carpet cleaning is crucial for maintaining a healthy home. We are here to help when you’re ready! See our contact information in our bio.